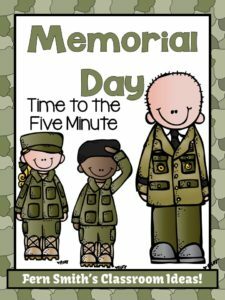 This “Time to the Five Minute” math center was something I made as a way to put a little Memorial Day introduction at your math center. Download this freebie now and you’ll have it in your files for the next school year. As a proud Navy Wife, it’s my little way of saying THANK YOU to all my followers and other military family and friends! « Leprechaun Math – Missing Numbers!